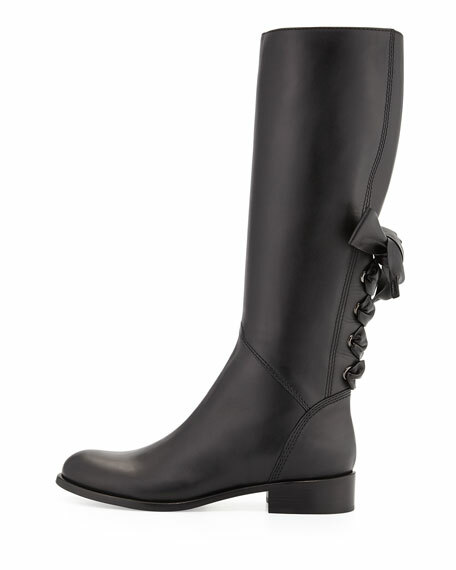 Boots are your favorite Fall go-to, so expect to go places in this corseted Valentino boot. 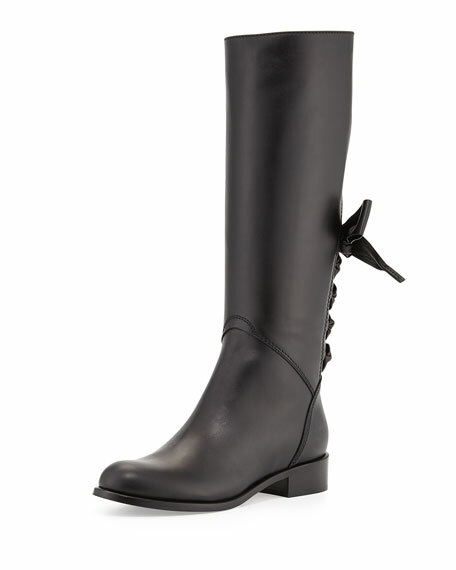 Valentino soft napa leather riding boot. 15"H to-the-knee shaft; 14 1/4" circ. 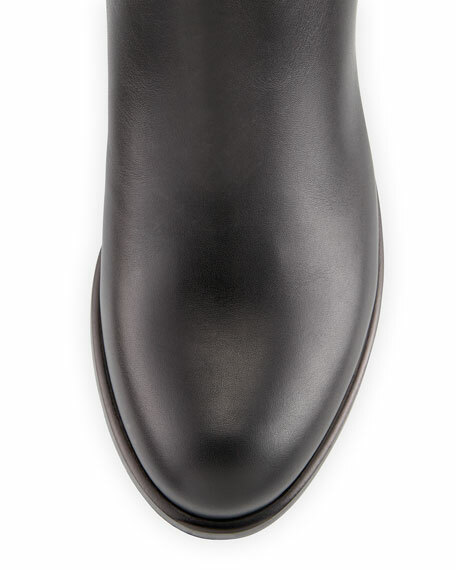 1 1/4" stacked flat heel. Decorative leather ribbon laces up back.